Fingerprint time clocks made an appearance in the late 20th Century, and have been gaining popularity ever since. If you run a business with employees who work by the hour, chances are you’ve at least heard of them, if not been told (repeatedly) why you should make the switch. There are some clear benefits to using a fingerprint-based time clock system, so let’s take a look to see if they are right for you and your company. The employee time clock harks all the way back to the late 19th Century, with the first patent filed by New York Jeweller Willard Le Grand Bundy. The simple punch-card operation of time clocks didn’t change much for the better part of a century, and the first time clock connected to a computer made an appearance in the late 1970s. Following this, advances in technology changed the way we “clock-on and clock-off”. Magnetic strip cards (same as credit cards), barcodes, RFID tags, PINs, and biometric interfaces have all played their part in revolutionising this time-honoured system. Fingerprint time clocks are one type of “Biometric” time clock. Biometric time clocks use the features of an employee’s body to identify them and register their start and finish times. Fingerprint time clocks are the most common, but facial recognition and retina scanner time clocks are also proliferating. A fingerprint time clock scans your employee’s fingerprint with either an optical or capacitive interface. They range from simple scans of the microscopic peaks and valleys on the surface of the finger to a multi-spectral analysis of the skin and blood vessels underneath. For most industries, simple optical fingerprint scanners are more than sufficient to implement biometric time tracking. As with any change, implementing a fingerprint scanner time clock in your workplace will require effort and your employees will take time to adjust. But there are proven benefits to the technology that make the change worthwhile. “Buddy punching” is when one worker clocks a co-worker in on their behalf, usually because the co-worker is running late for work or taking too much time on lunch. On an individual basis, employees may not consider this an egregious crime – after all, it’s only a few minutes, right? But regular occurrences of buddy punching across an entire organisation can add up to big losses over time, in both productivity and finances. A biometric time clock system eliminates buddy punching. When a worker can only start the clock on their shift with their unique fingerprint, there is no way for anyone else to punch their card for them. This puts accountability back on employees for their own time, and means you are not paying them to sit in traffic or wait in line at the coffee shop. Fingerprint time clocks vastly improve the accuracy of time reporting, allowing time-tracking down to the second if desired. Employers who still keep manual timesheets have the most to gain in switching to biometric, as this increased accuracy has flow-on efficiencies to payroll, award interpretation, leave balances, and payroll processing. Related to the previous point, fingerprint time clocks manage time and attendance data through robust software. This software automates many tasks that were previously prone to human error, such as small miscalculations and typos/spelling mistakes on payslips and tax records. Further, automated timekeeping software provides opportunity for automatic award interpretation; with how complicated employee awards can be, this can be a life-saver for payroll employees. Fingerprint time clocks let you do away with mountains of hard-copy timesheets, payroll ledgers, and manual calculation scratchpads. Additionally, the software behind the scanner securely keeps essential financial records in case of audit. There is no chance of the cleaner accidentally throwing out sensitive employee records when it’s all stored virtually. And in the event of the unthinkable, a fire or flood won’t wipe out essential payroll data. Can a fingerprint be “stolen”? 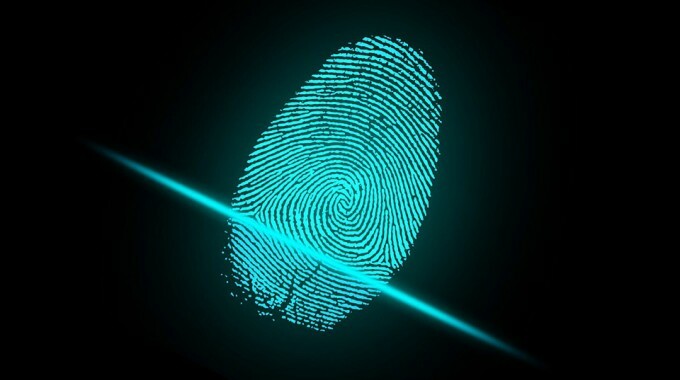 Some employers and employees may have concerns about fingerprint images being stolen and subsequently being used to commit identity theft. But fingerprint time clock systems don’t quite work like this. As an example, WageLoch Software never stores an image of a fingerprint. Several reference points from a fingerprint are stored in the system, and these reference points are used to identify an individual finger when placed on the scanner in future. This information is stored in an encrypted database and it is not possible to reconstruct an image of a fingerprint from this information. Moreover, we never share fingerprint information with any other party – it stays securely in the encrypted database until you decide otherwise. Should you make the switch to biometric timekeeping? Biometric employee tracking technology is fairly well-established. Most employees are getting used to the idea, and nascent privacy concerns have been addressed. Fingerprint time clocks will create business efficiencies and help your “lean operations” goal. They will make it easier for you to fulfil your legislative obligations by avoiding costly compliance issues and eliminate and overpay or underpay situation. Biometric technology eliminates human error, improves accuracy, and creates accountability for employees to manage their own time. Best of all, if you choose the WageLoch system, we work closely with you to tailor your biometric solution precisely to your needs. If you would like more information or want to know if WageLoch is right for you, contact us today. Previous PostHow much time is wasted fixing a payroll error?Next PostAttendance and Rostering Software – What’s the ROI?